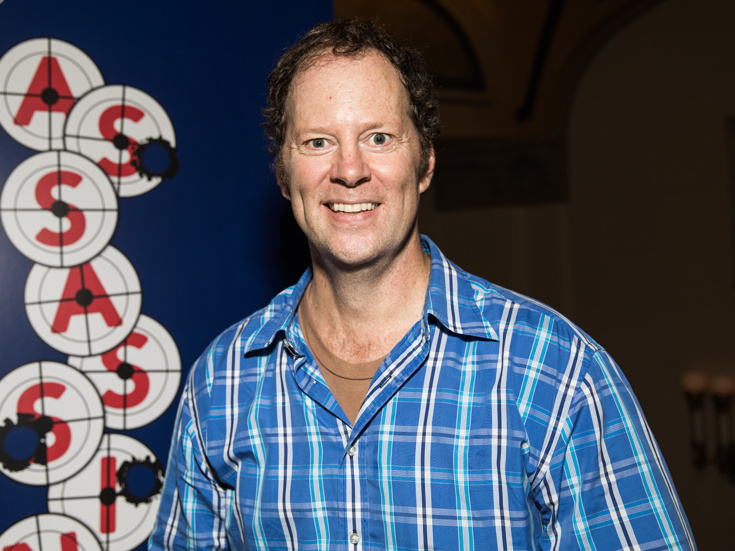 Tony winner Shuler Hensley (Oklahoma!) has joined the company of the upcoming free Shakespeare in the Park musical production of Twelfth Night, beginning performances on July 17. Hensley will take on the role of Sir Toby Belch, replacing the previously announced Jacob Ming-Trent, who has exited the production due to a scheduling conflict. The principal cast also includes Tony winner Nikki M. James as Viola, Andrew Kober as Malvolio, Ato Blankson-Wood as Orsino and the musical's composer Shaina Taub as Feste. Co-directed by Oskar Eustis and Kwame Kwei-Armah with choreography by Lorin Latarro, Twelfth Night is slated to play the Delacorte Theater in Central Park through August 19. The long-gestating musical based on the classic 1960s TV series Green Acres, which we first reported about in 2012, has named a talented creative team. Thomas Caruso, who helmed the acclaimed off-Broadway musical Southern Comfort, has been recruited as the tuner's director, while Grammy-nominated songwriter Tor Hyams and veteran Broadway performer Lisa Rothauser (The Producers) are crafting the book and score. An initial production, including casting, venue and dates, is still to come. If your memory is rusty on the plot of the beloved TV comedy, check out the catchy theme song below. The cheered off-Broadway revival of Burton Lane and Alan Jay Lerner's musical On a Clear Day You Can See Forever has been extended by Irish Repertory Theatre. Originally scheduled to play through August 12, the new staging will now conclude its engagement on September 6. Charlotte Moore directs the revival, starring Tony nominee Melissa Errico as Daisy Gamble/Melinda Welles and Tony nominee Stephen Bogardus as Dr. Mark Bruckner. The cast also includes John Cudia, Florrie Bagel, William Bellamy, Rachel Coloff, Peyton Crim, Caitlin Gallogly, Matt Gibson, Daisy Hobbs and Craig Waletzko. P.S. Watch Chita Rivera, Tommy Tune & More Pay Tribute to the Iconic Emerson Colonial Theatre, Home of Moulin Rouge!